Depression is a common problem for which established treatments are not great. I’m excited by our new Wake and Light Therapy for the rapid treatment of depression. I have read most of the literature and talked to some of the leading scientists in this area in Europe. What appeals to me is its simplicity and lack of any significant side effects. It’s a hugely neglected area by psychiatrists and psychologists. The story is that with standard anti-depressant medication or a psychological therapy, it might take 3 to 6 weeks to see any benefit. However, Wake Therapy combined with Light Therapy can result in a rapid response within 1 week, and often within a few days. (It is also called “Triple Chronotherapy” in the scientific literature). To me, Wake and Light Therapy seems more acceptable than having intravenous ketamine, another treatment that is currently being researched for a rapid response. However, Wake and Light Therapy can’t be patented and so the pharmaceutical industry can’t make money out of it. It also seems to me more acceptable than ECT in severe depression, another treatment that may take several weeks to have benefit and can be associated with various side effects. About 60% of patients may get better with the Wake and Light therapy. Of course, we need more research in this area. We do not yet know who may get better with these therapies. You are advised to still take the standard treatments like medication and psychological therapies. We have therefore developed the RAPID (“Rapid Acting Programme In Depression”) at our hospital to work alongside standard treatments. There are two main components for a rapid treatment of depression, namely Wake Therapy and Bright Light Therapy. Wake Therapy includes sleep deprivation for one night then advancing the time you go to bed during the first 5 days. This is described in more detail below. In the longer term, the focus in treatment is on Behavioural Activation or Cognitive Behaviour Therapy, sleep hygiene and changes in your lifestyle (for example diet and use of alcohol). Once there is some improvement in your mood over the first week then you can tackle longer standing problems such as conflicts or losses in your life that may be contributing to your depressed mood. It is possible to do the Bright Light Therapy with Behavioural Activation and medication on their own but it seems better results are obtained by combining the components above with Wake Therapy. There are no known major side effects from the above and they can be used with anti-depressant medication and other psychological therapies, so I think it’s worth trying. This is especially because you’ll know whether it’s working or not after the first 5 days. Does Wake and Light Therapy “work”? Wake and Light Therapy is therefore a promising treatment for the rapid treatment of depression and has been shown to be effective in 3 controlled studies and several case series around the world. It’s not in the NICE Guidelines for depression, probably because there is not yet enough evidence and because no-one on the expert guideline committee picked up on it. 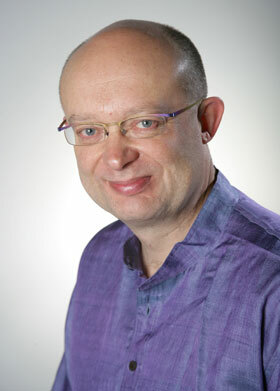 It seems extra-ordinary but Wake Therapy was first described in a PhD by Dr Burkhard Pflug in Germany in 1973! It was recognised then that there was a high rate of relapse after the night of sleep deprivation. It was later in the 1990’s that researchers found ways of preventing the relapse with advancing the phase of sleep and by using Light Therapy. Who improves with Wake and Light Therapy? We do not yet know who may get better with Wake and Light Therapy. It seems to work with all types of depression, both unipolar and bipolar. It may work best when you have the core symptoms of depression such as melancholia, waking early in the morning, poor appetite or weight loss, retardation and guilt. Some people find they are more prone to depression in the winter. Hospitals generally admit more patients with depression in the winter months when there is less sunlight. However Light Therapy can also works whether you experience a seasonal onset or not. Light Therapy can also help prevent relapse after Wake Therapy. Thus, a study by Martiny in Denmark recruited 75 patients with depression who were all taking an anti-depressant. They were randomly allocated to either Wake and Light Therapy or to exercise. After the 1st week, the Wake and Light Therapy did better than the exercise group. This is shown in the graph below in which the groups were divided into those who took naps and those who did not. They had a slightly different regime to the Wake therapy that we are using but nobody knows which regime is best. 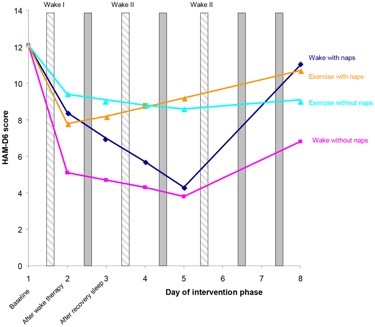 There was a significant deterioration in the Wake Therapy group in those who napped during the day compared to those who did not nap especially by Day 8. By week 20, 62% in the Wake and Light Therapy had achieved recovery compared to 38% in the exercise group. This is not bad, as depression can be tricky to treat. For example, although anti-depressant medication and cognitive behaviour therapy (CBT) can be helpful, there is much room for improvement. Thus, recovery occurs in about 45% for antidepressants or CBT alone and 30% for placebo. This improves with adding other treatments. However the recovery in the Wake and Light Therapy is occurring by about Day 5. My interpretation is that if recovery is not occurring within a week then you can try a different treatment. In another study of Wake and Light therapy, Wu (2009) randomly allocated 49 bipolar patients to either therapy and medication or medication only. 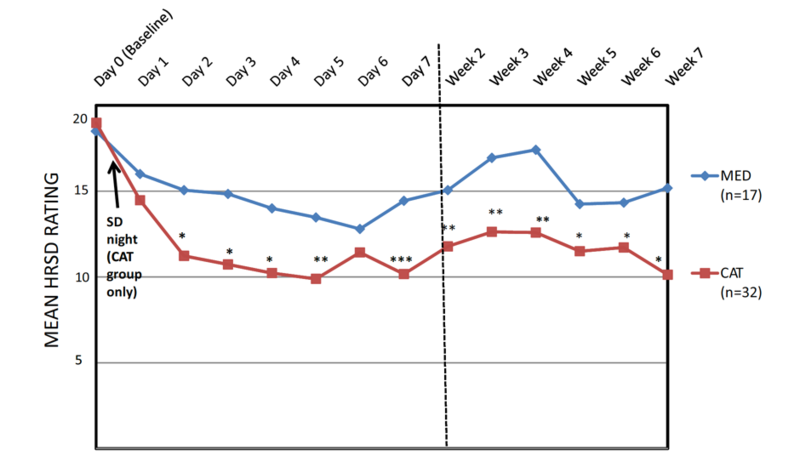 The Wake and Light Therapy (labelled CAT group below) did significantly better than the medication group within 48 hours and this was sustained over 7 weeks. A hormone, called melatonin, is released at night by the pineal gland in the brain to regulate both your sleep and other hormones. Some people with depression release melatonin at the wrong time of the day and this may contribute to the development of depression in vulnerable individuals. The theory is that if we can reset the melatonin to be released at the right time of the evening then this can help control symptoms of depression. Another effect of sleep deprivation is that there is surge of mono-amines (for example serotonin, dopamine) after sleep deprivation. The positive effects of Wake and Light Therapy can be enhanced by ensuring routine in your activity, sleep and eating. I see the Wake Therapy as turbo-charged version of Behavioural Activation. The following is a typical one week program for depression for inpatients that we are using. Before you begin we will do various measures with you to assess the severity and type of depression and the pattern of your sleep. On the first night, you should stay awake with no naps. This is usually done with the support of a nurse and fellow patients in a small group. We will have planned activities for the night on the ward e.g. watching a film; a short walk in the grounds or perhaps an excursion to an all-night venue. You will have access to coffee/tea and snacks on the ward. You may get an immediate improvement in your mood but unless you continue with the program in the way we describe, you are very likely to relapse. You will receive Bright Light Therapy for 30 minutes in your room sometime between 6.45am and 9am. The exact timing will depend on the results of a questionnaire. You should sit about a foot (30cm) from the light with your eyes open. Ideally, the light screen should be tilted at a 15° angle toward you so that the light is projected over as you receive treatment. You should not stare at the light but you may read, work, eat, etc. while receiving the light therapy. A nurse on the ward will provide guidance on its use. An alternative to Bright Light Therapy is to go outdoors first thing in the morning for natural sunlight especially in the Summer months. You should stay awake during the day and structure your activities as planned with your therapist. You should try not to have any naps. If you cannot resist a nap it should last no more than 10-15 mins. You should go to bed at 5pm (17.00) and wake by 1am (i.e. about 8 hours sleep). You should stay awake during the day and go to bed at 7pm and wake by 3am. The nursing staff on the ward will provide some activity after you have got up and had a light snack. Bright Light Therapy will be provided as described with the same timing as on Day 2. There will be a planned activity schedule and treatment as usual on the ward. You should stay awake during the day and go to bed at 9pm and wake by 5am. Bright Light Therapy as described will be used with the same timing as on Day 2. There will be a planned activity schedule and treatment as usual on the programme. Bed at a normal time by 11pm and wake by 7am. How will we know if there is any benefit? Naturally, you will want to judge how effective the therapy is and whether you think you are having any side effects. One of the staff will rate your symptoms on a scale and we will ask you to complete some questionnaires at the beginning and start of the following week for to see if there has been any progress. Who else provides Wake and Light Therapy? I’d like to know so that we can network and share our experience! I am aware of an outpatient service in USA and one or two across Europe and Japan. So, it very exciting to be pioneering this treatment in our hospital for private patients. I hope to conduct research in the NHS so it can be demonstrated to be of benefit in the UK and introduced more widely. We really need a research centre for chronotherapy if anyone is interested in funding a PhD student or research at my department at King’s College London. 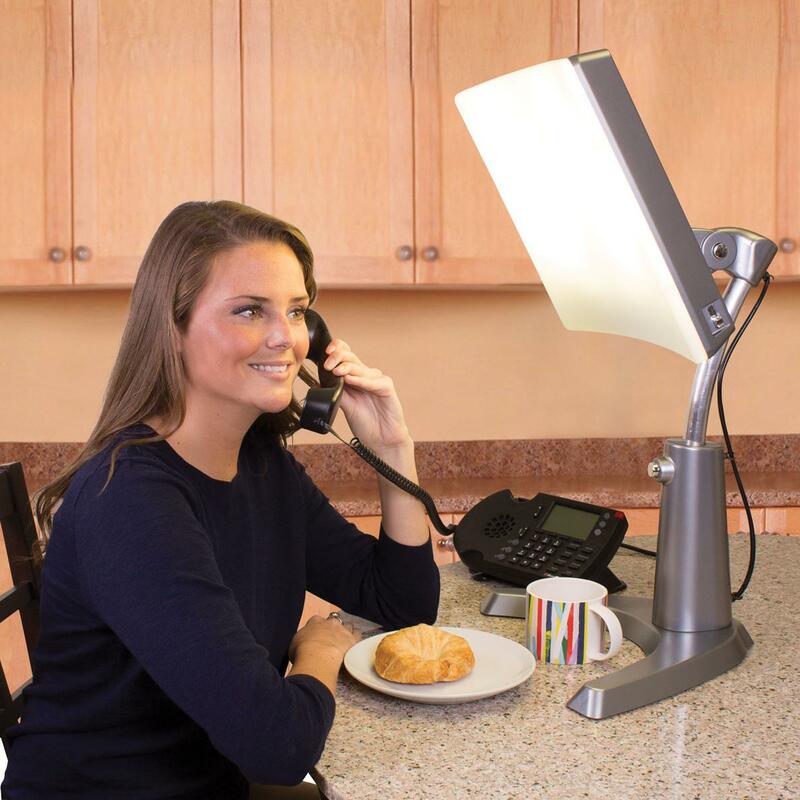 Are there any reported side effects of Bright Light Therapy? Side effects are generally uncommon but include decreased sleep, dry mouth, nausea headache, weakness and fatigue. These symptoms are transitory and can be usually be managed by reducing the duration of the light therapy to 15-20 minutes or sit further back form the light box. In rare cases, if you have bipolar disorder you might switch from depression to mania. Is Wake Therapy (Sleep deprivation) unsuitable for anyone? If you have a history of epilepsy, then wake therapy may induce a seizure. This will need further discussion as you may be better not to have sleep deprivation but may still have Bright Light Therapy. Is Bright Light Therapy unsuitable for anyone? 3) if you are suffering from mania or have rapid cycling which is occurring daily – this can still be helped by a modified version of the programme. Please contact me if you’d like an assessment for Wake and Light Therapy.